The Tequila Sunrise is an old classic drink that sticks around because it’s so tasty. It’s also surprisingly easy to pour for such a beautiful drink. The long-standing appeal of orange juice drinks is actually the juice as much as the alcohol. It hydrates your body and provides Vitamin C to prevent or reduce hangover effects. But you still get your alcohol kick, too. Other orange juice based drinks include the Screwdriver, the Orange Blossom and the Harvey Wallbanger. 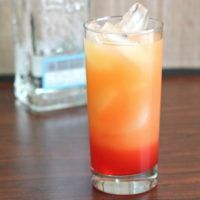 The Tequila Sunrise is a great choice to serve guests who are just social drinkers. It’s delicious and there’s a high ratio of mixers to spirits in this one. But it’s equally popular with more dedicated drinkers. The flavor is orange and berry. That’s a very likable combination, even for people who don’t love tequila. 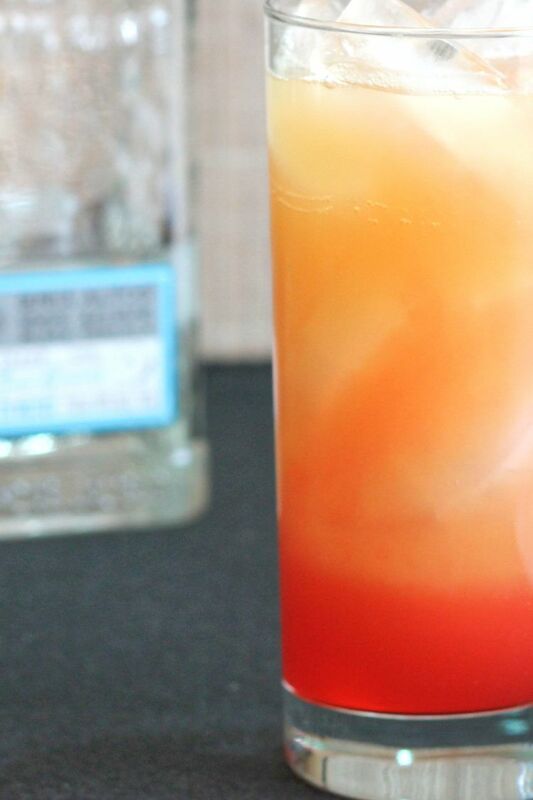 If you have a guest who really doesn’t like tequila, serve them the Vodka Sunrise. It’s virtually the same drink, only with the less flavorful vodka in place of the tequila. This classic drink recipe gets its name from how it looks. It has that beautiful visual effect from the grenadine dropping to the bottom then slowly rising. That gives it a red layer at the bottom that slowly blends into an orange layer. That makes this a really cool-looking cocktail that always looks impressive. And yet, getting this sunrise effect is easier than you might imagine. The way to get that look is to pour the grenadine last. You pour it right down the center, and slowly. This method of dropping the grenadine in slowly is actually the easiest way to get the visual effect of a layered cocktail. If you find it hard to pour slowly, you probably need to use a pour spout over the bottle. This is especially true when a bottle is full and the lack of air inside makes the liquid tend to chug out instead of pouring smoothly. 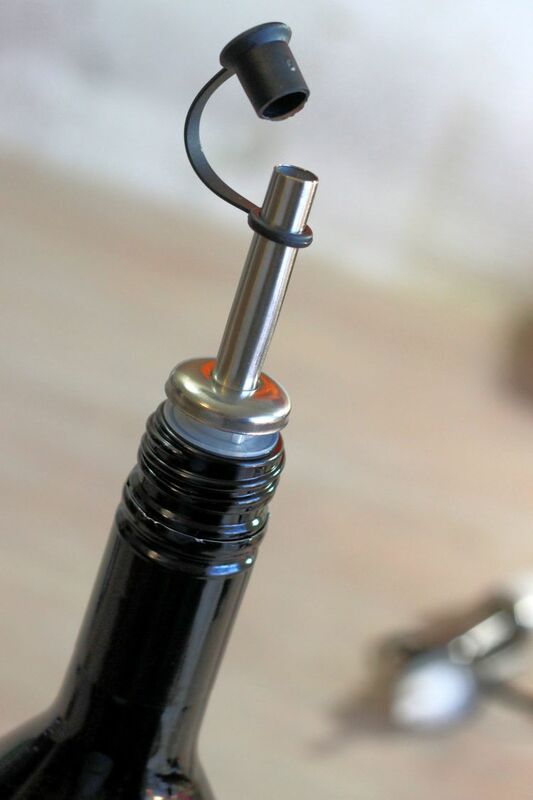 Pour spouts are such a help whether you’re layering cocktails or just want to reduce mess. They can help keep liquid from dribbling down the side of the bottle. Orange dominates the flavor of this drink, followed by berry. The tequila adds its own notes, and what those notes are depends on the type of tequila you used. For this drink, you don’t need to break out your top shelf bottle. Any good, drinkable tequila will work in a cocktail. Altos Tequila Plata makes a good choice. It’s 100% agave, so you get hints of something herbal, but it also has citrus notes that brighten it up and make it smooth and easy to enjoy. If you want to garnish this drink, add an orange slice and/or a cherry. That will cue people into what the main flavors are going to be. This great drink has endured because it’s so good almost anytime, any place. From brunch to a night out dancing to a day by the poolside, it suits every mood. 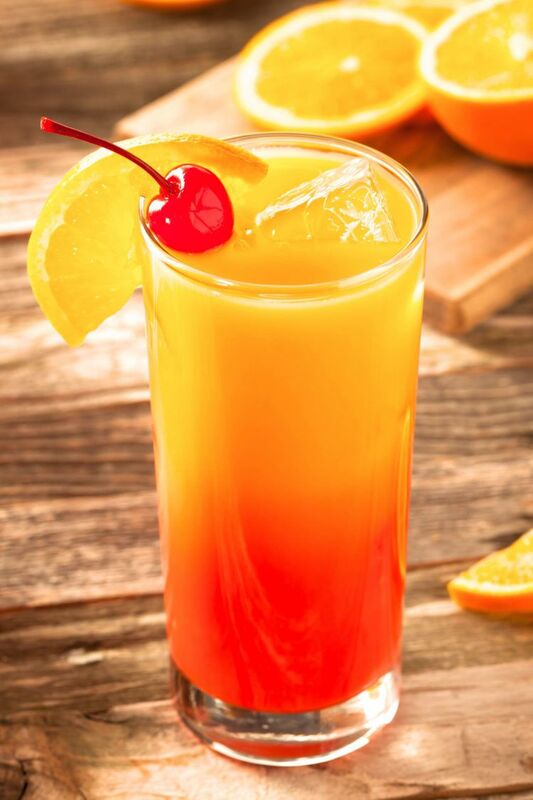 You might think of the Tequila Sunrise as a very long drink. That’s true, but it only has twice as much fruit juice as alcohol, so it’s still a good stiff drink. If you want, you can add more orange juice (and maybe more grenadine) to make it a longer drink for sipping. It’s made to be poured over ice, which will water it down after a few minutes. If you want to keep the flavors intense, you can chill all the ingredients in advance – and even the glass, too – and skip the ice. You’ll get a nice cold drink this way. And you might want to pour it into a smaller rocks glass. 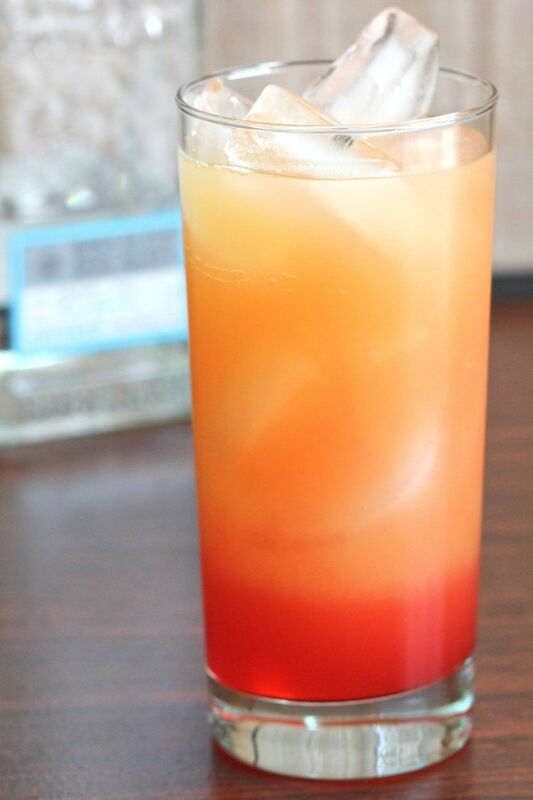 The Tequila Sunrise is a classic cocktail recipe blending grenadine with tequila and orange juice. Because the grenadine sinks to the bottom, it looks like a sunrise. The flavor is orange and berry, with notes from whatever tequila you use. Put ice cubes into a highball glass. Pour in the tequila followed by the orange juice. Now slowly pour the grenadine straight down the middle, so it sinks to the bottom. Optionally garnish with a citrus wedge or sliver of orange peel. I drink these for brunch. Mmmmm. Whatever you like best. Different bartenders and writers have different ideas, but it’ll be good either way.